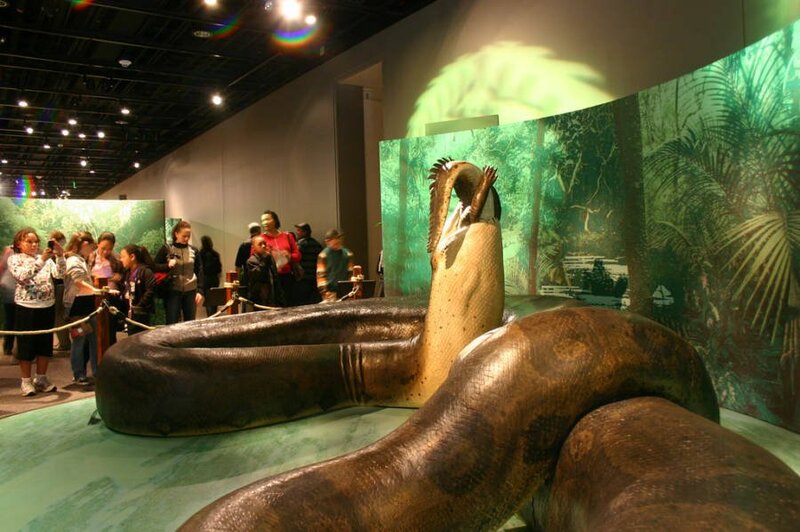 Titanoboa on display. See the humans in the background for a comparison. 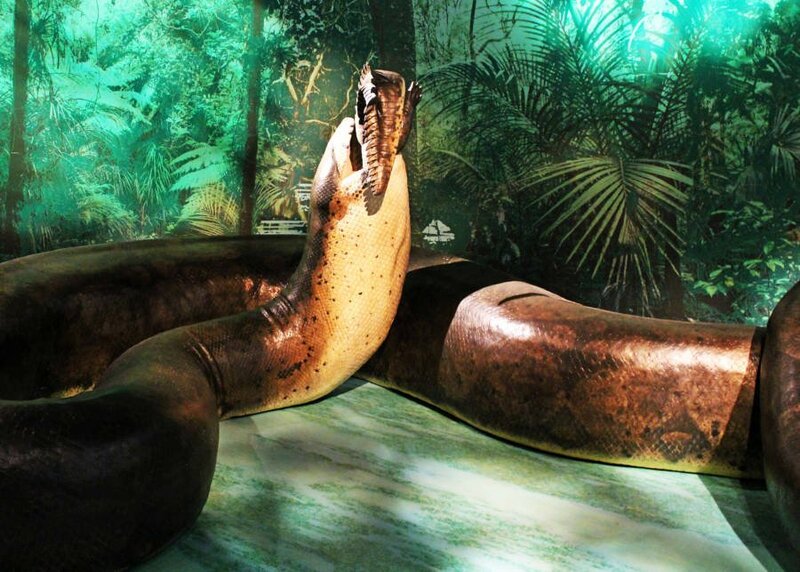 Titanoboa simply has no equal among modern snakes. 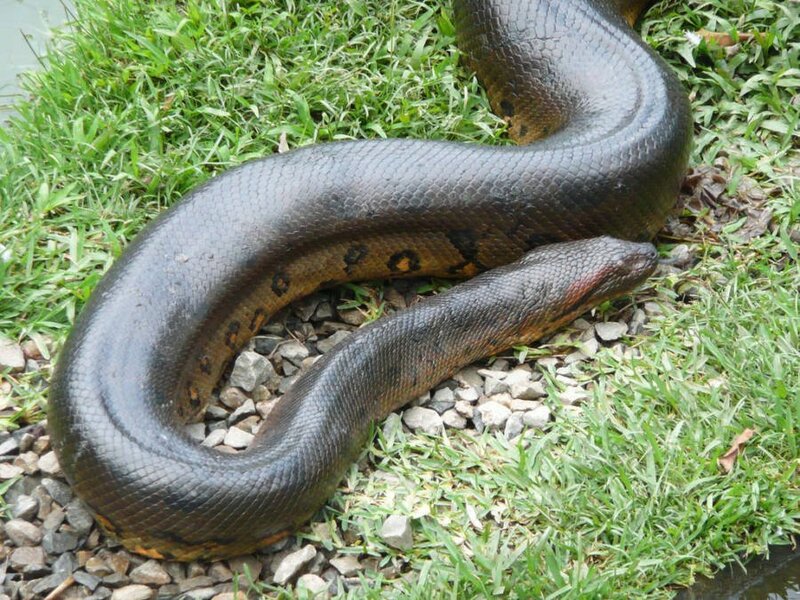 Even the anaconda pales in comparison.